On today’s runways and red carpets, fashion has become the ultimate art form of individuality, diversity and a social continuum where everyone brings something new to the floor. And what better way to honor individual expression and the celebration of life than with this year’s Moroccan themed Midnight in Marrakesh. The black-tie affair gives ample fuel for attendees to express their own unique personality with the most tasteful evening wear yet. And hopefully, these few tips about the North African country will leave you feeling confident and intrigued to challenge your creativity. The Kingdom of Morocco is a charmed land filled with mysterious wonder, rich in culture, religion, tradition and history. From its stunning architecture, patterned tile and mosaic to its sweeping oceanic and Mediterranean coastlines, mountains and desert features, it is a visual geometry in motion. And of course, let’s not forget its world-renowned city of Marrakesh, where ancient times meet the modern, in its lively souks, a nexus of trading and confluence of ideas. But if you thought Morocco’s breathtaking terrain and diverse culture was the best part, then slide back in—the fun is just getting started. 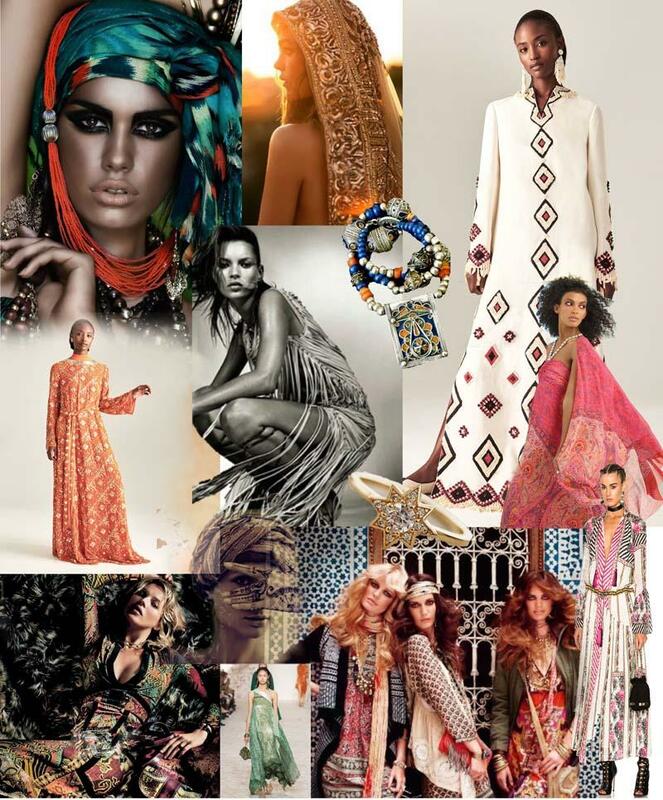 Now let’s talk fashion… It’s only appropriate that Morocco’s enchanting culture also seeps into the fashion realm. From Yves Saint Laurent and Tory Burch to Missoni and Etro—Morocco has influenced iconic designers and fashion trends for decades, and most recently the Resort, Spring/Summer and Fall 2018 runways. Luxurious fabrics of flowing linen and sheer satin are simple yet intricate and sewn together with harmonious hand embroidered patterns, beading, embellishments and tassels. From women’s headscarves to traditional babouche slippers—every vibrant, metallic and earth tone color can be found woven into each design. Whichever fabric and texture you choose, be sure that it makes a sweeping entrance to catch that hot Moroccan summer breeze feel. Be sure to emphasize your look with multi-textured accessories and layered jewelry. Look for a mix of long and short necklaces that utilize different materials, stacked rings of metal with decadent jewels and stones, or ornament earrings with unique shapes that resemble the alluring architecture of the Moroccan mosques. Coin, tassel and beaded purses are highly recommended, and if you happen to come across the lace-up pom sandals on everyone’s shoe wishlist—grab them! When it comes to makeup, focus on the hair and eyes. Voluminous hair with a natural sea salt curl paired with an exotic smokey, cat-like eye brings out the mysterious wonder and femininity of your own personality. And if you’re feeling a little more daring, try out your own designs with henna tattoos on your hands and feet.